Get and keep your skin in the best shape of its life! Whether you purchased, or had CABOT® P.O.L.® Phospholipids Cream purchased for you and had tried it, you already know how well it works for serious skin conditions. 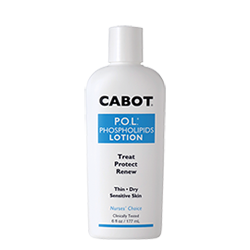 Over the years, many customers have reported how CABOT® P.O.L.® Phospholipids Cream not only healed their skin conditions and prevented return of their skin conditions, but used daily it significantly improved the overall look, feel and health of their skin. 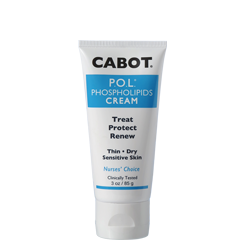 CABOT® P.O.L.® Phospholipids Cream protects skin from the ravages of the environment and the unavoidable aging process we all face. CABOT® P.O.L.® Phospholipids Cream is a lipid replenishment complex of Phospholipids, Glycolipids and Ceramides that delivers powerful natural moisturizers and antioxidants to rebuild the skins protective moisture barrier. Treat, protect and renew thin, dry, sensitive skin. We encourage you to consider taking our 30 day Skin Fitness Challenge. 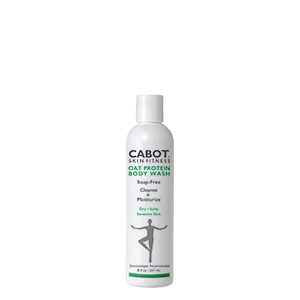 Start the year by taking the CABOT® Skin Fitness Challenge for A New Look And Life for Your Skin.